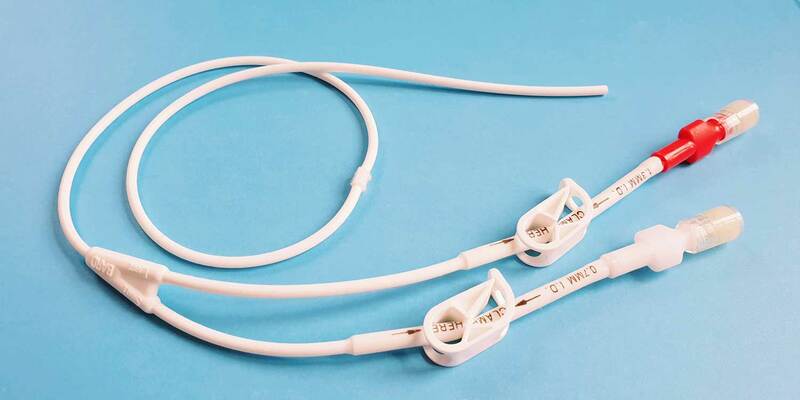 A PICC (Peripherally Inserted Central Catheter) is a central venous access device (CVAD), commonly used in patients requiring chemotherapy or long-term intravenous medication (eg antibiotics). It is very durable and can be left in place for many weeks or months when looked after correctly. It consists of a long thin flexible tube (catheter) which enters one of the veins in the upper arm (above the elbow joint) so that one end of the catheter sits in the large vein just outside the heart and the other end comes out of the skin and is fixed to the upper arm. The main advantage of the PICC over the other CVADs is that it is relatively simple to insert and comes with either one or two lumens so multiple drugs or infusions can be given at the same time. The main disadvantage is that there is an external part of the PICC sticking out of the arm which can catch on clothing and must be kept clean and dry. Also, some patients’ veins are not suitable for a PICC insertion. 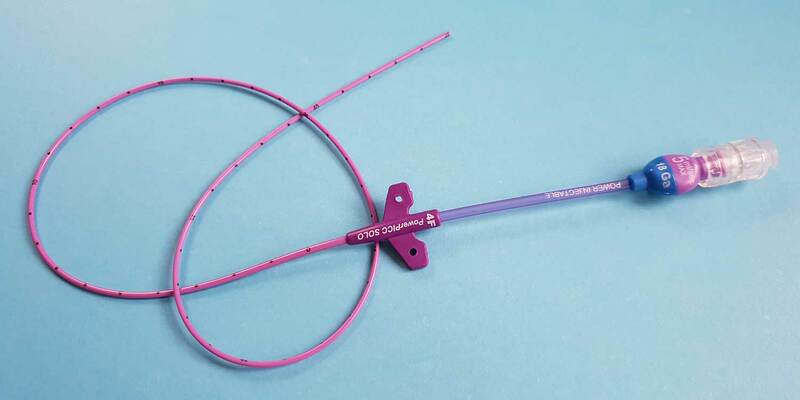 How is the PICC inserted? The procedure is performed under local anaesthetic in either the Interventional Radiology suite at KIMS Hospital or the operating theatre at the Nuffield Hospital. Dr Leech will examine the veins using an ultrasound machine to check their position and suitability and then insert a flexible wire into the vein. X-rays are used to check the final position of the line ensuring that the tip of the catheter lies in the large vein just outside the heart. The actual procedure takes approximately 20 minutes. A tiny incision (1-2mm) is made in the inner part of the upper arm. Approximately 5cm of catheter is left externally and is fixed to the skin using a transparent dressing. 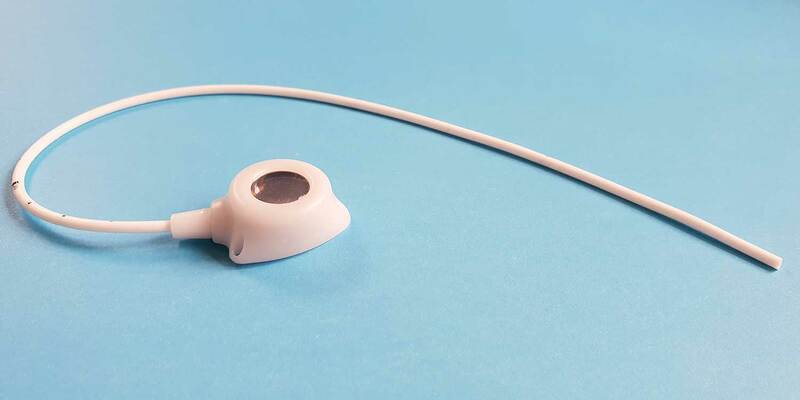 A special device called a Securacath is often used to help anchor the catheter in place. Typically, most patients go home 30-60 minutes after the procedure. All patients need to have MRSA swabs taken at least 48 hours prior to the procedure. If you are a Haematology patient or have already started chemotherapy you will also need to have some blood tests. If you are taking anticoagulant drugs (blood thinning medication such as Warfarin, Fragmin, Rivaroxaban), these will need to be stopped. Dr Leech will advise you when to stop your medication depending on the drug and the indication. On the day of insertion, you may eat at your usual meal times and drink water right up until the time of the procedure. Although sedation is not normally used, it is advisable to have someone with you to drive you home following the procedure. You need to avoid strenuous activities of the upper limb and chest wall (no playing golf, gardening or heavy lifting). You must not go swimming or soak in a bath the whole time the line is in place and you need to keep the line dry when showering. Most patients wrap cling film around their upper arm several times but you can buy a special waterproof sleeve specially made for this purpose from online retailers (eg Limbo). It is quite usual for your upper arm to ache for a day or two after the procedure. Simple pain killers such as paracetamol will help relieve this or you can take any other pain-relieving medication prescribed for you. It is relatively common for your skin at the catheter entry point to bleed a little for the first 24 hours. This is nothing to worry about unless it causes the sterile transparent dressing to come away. If this happens, then the dressing will need to be changed by a nurse at the hospital. The PICC needs to be flushed with saline once a week to keep it working and the dressings will also need changing every week. When the PICC is no longer required, it can be removed by one of the nurses simply pulling out the line (no local anaesthetic is required). With modern imaging techniques (using both ultrasound and X-rays), the risk of the procedure itself is minimal. However, there is still a very small risk of blood vessel injury, nerve damage and infection. There is also the very remote chance of being allergic to the local anaesthetic or the dressings that are used. Bruising is relatively common especially in patients taking anticoagulant therapy or with low platelets but is normally confined to a small area and resolves within a couple of weeks. Thrombosis is a risk for all patients on chemotherapy and having a CVAD may increase this risk very slightly. If you do experience any sudden onset of pain and swelling in your arm you should contact your Oncologist, Chemotherapy nurse or Dr Leech’s secretary. 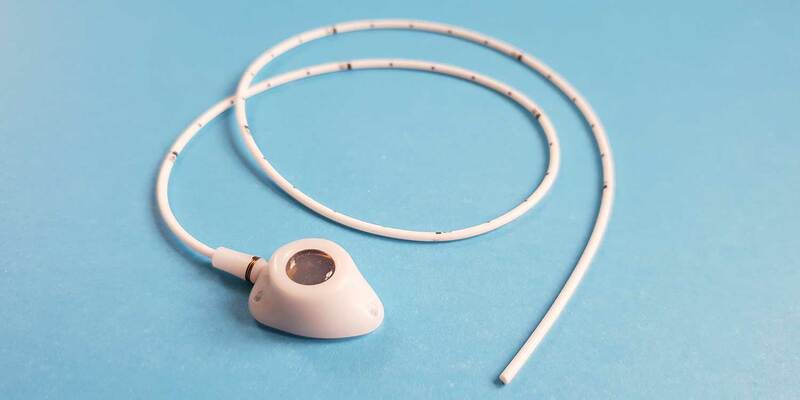 Find out more about the Tunnelled CVC, Portacath and Arm Port.